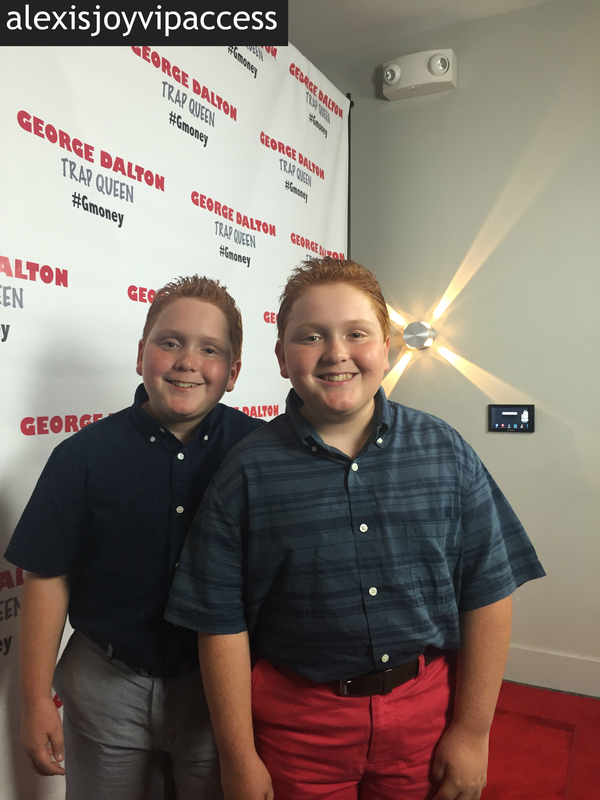 VIPAccessEXCLUSIVE: “Best Friends Whenever” Stars Matthew And Benjamin Royer Interview With Alexisjoyvipaccess At George Dalton’s Music Video Release Party! Bret and Chet – twin brothers which equals one thing, double the trouble. Bret and Chet are Shelby Marcus’ younger, twin brothers in Disney Channel’s highly-acclaimed, instant, hit TV show, “Best Friends Whenever” and if you were to describe Bret and Chet in just one word, it would definitely have to be, troublemakers. To put it in simple terms, Bret and Chet know the right ways to get under Shelby’s skin. Although they may be troublemakers on screen, the wonderful and magnificent Benjamin Royer and Matthew Royer are two of the most amazing and sweetest actors out! The remarkable and amazing Benjamin Royer and Matthew Royer are two of the many reasons why we all can’t stop watching Disney Channel’s “Best Friends Whenever”. I, Alexisjoyvipaccess had a great time covering George Dalton’s “Trap Queen” music video release party and had an amazing time interviewing the wonderful Benjamin Royer and Matthew Royer at the event. The terrific Benjamin and Matthew Royer dish exclusively to Alexisjoyvipaccess all about what it is like working on set of “Best Friends Whenever”, what their favorite episode is from “Best Friends Whenever” and so much more only in our VIPAccessEXCLUSIVE interview! Matthew and Benjamin Royer also spill on what they would like to see happen to their character in future episodes of the show – hear what they have to say only in our VIPAccessEXCLUSIVE interview below! Check out my VIPAccessEXCLUSIVE interview with the spectacular Benjamin and Matthew Royer at George Dalton’s “Trap Queen” music video release party! Previous VIPAccessEXCLUSIVE: Thomas Barbusca Interview With Alexisjoyvipaccess At George Dalton’s Music Video Release Party! Next VIPAccessEXCLUSIVE: Jordyn Jones Updated Interview With Alexisjoyvipaccess At George Dalton’s Music Video Release Party!